Collaboration has taken place in the area of transport where a mechanism has been provided for the measurement of the services provided by Local Link resulting in the identification and introduction of more targeted routes. This plays an important role in combating rural isolation by linking national transport routes and facilitating access to medical facilities both within the county and beyond. The Local Links travel service availed of the expertise of the Roscommon County Council Municipal District coordinators who assessed the accessibility of bus stops to ensure that they are accessible for older users and those with reduced mobility. An important piece of work was conducted in respect of the role of banking telecommunications and resulted in the publication of a paper with actions in respect of this sector. The recommendations produced were presented to the relevant stakeholders during 2017. Several intergenerational events have been successfully coordinated by Comhairle Na NÓg (Youth representative committee) and the Older Persons Network across the county. An Garda Síochána have held several events and awareness campaigns including the very successful annual Harvest Gathering. Roscommon County Council has provided training for Engineering and Planning staff in appropriate Age Friendly practises in the universal design of Housing, Planning and the Public realm. Roscommon’s 6 Town Team committees and community representatives have also been given Age Wise and Ability Awareness training in 2018. The promotion of Boyle as the flagship age friendly town has seen positive impacts across the town. The 2016 census has shown that Boyle is in the top 3 towns in the county with an ageing demographic, with an average age of 41.6 years. An official ceremony recognising Boyle as an Age Friendly Town will be held in 2018. 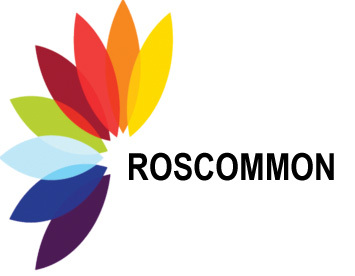 It is then planned to roll the initiative out to other towns in Roscommon. Overall the Age Friendly programme roll out has been very positive within the county it is hoped to widen the scope of the programme to include further towns in the coming years.